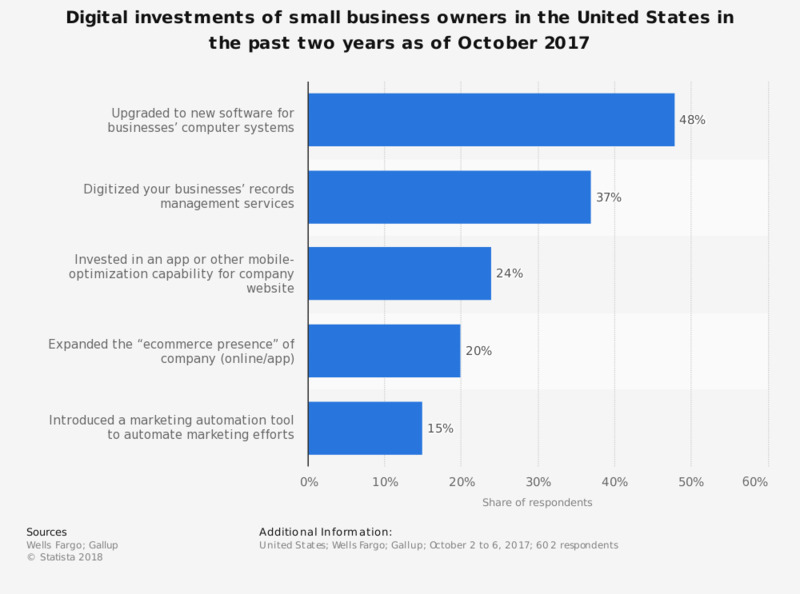 This statistic presents the most common digital investments of small business owners in the United States in the past two years. During the October 2017 survey period, 48 percent of responding small business owners stated that they had upgraded to new software for their business computer systems. Question: Over the past two years, has your business done any of the following?